hello lovely reader, thanks for reading today :) i hope you are well and happy, and that you enjoyed a sunny weekend. thank you so much for your wonderful comments and responses to my post about veganism - it's an exciting time for me, and it means a lot that you're all on board and excited too! even though i'm not 100% vegan (yet), i'm loving trying new plant-based recipes and meals, and food is tasting so good. 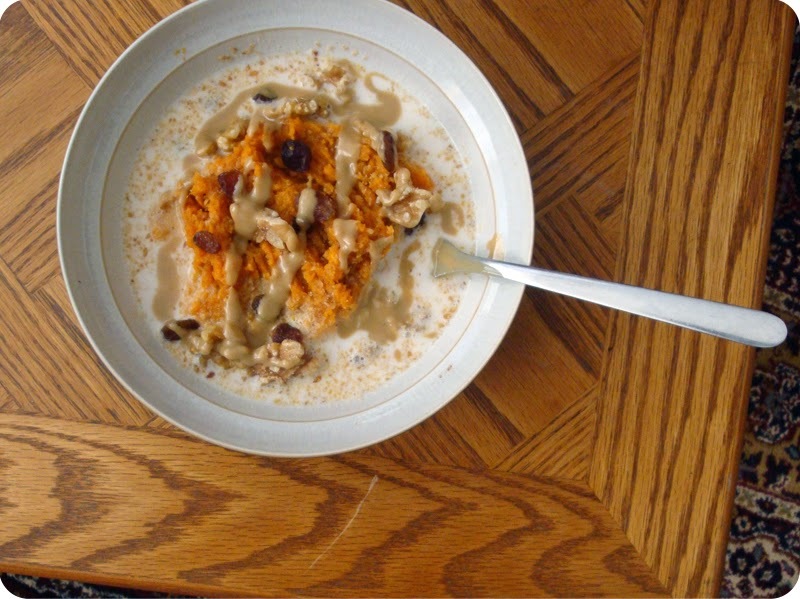 ♥ breakfast of sweet potato mash with hemp milk, topped with tahini, ground flaxseeds, raisins and cinnamon - i love vegan breakfasts! 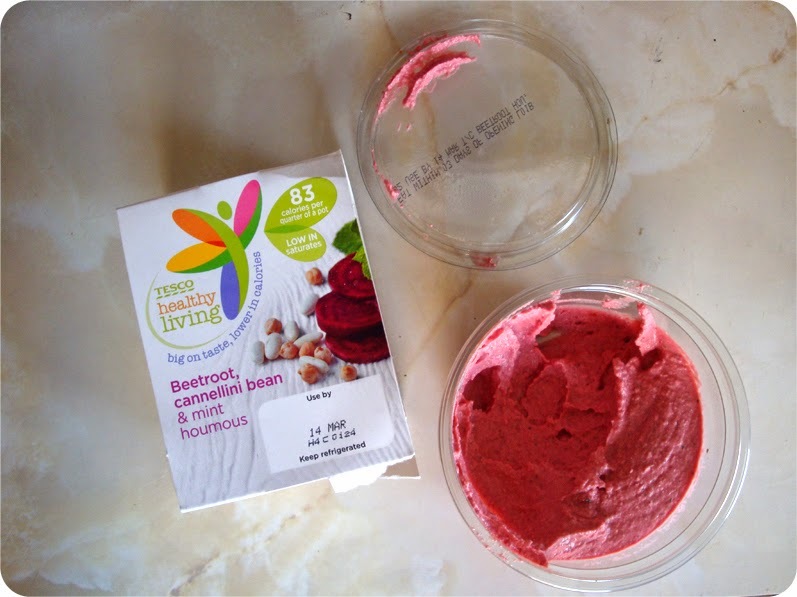 ♥ as part of Tesco's 'Healthy Living' range, they've got this delicious beetroot and mint houmous, which i often get when i'm at work as a side for my homemade salad. 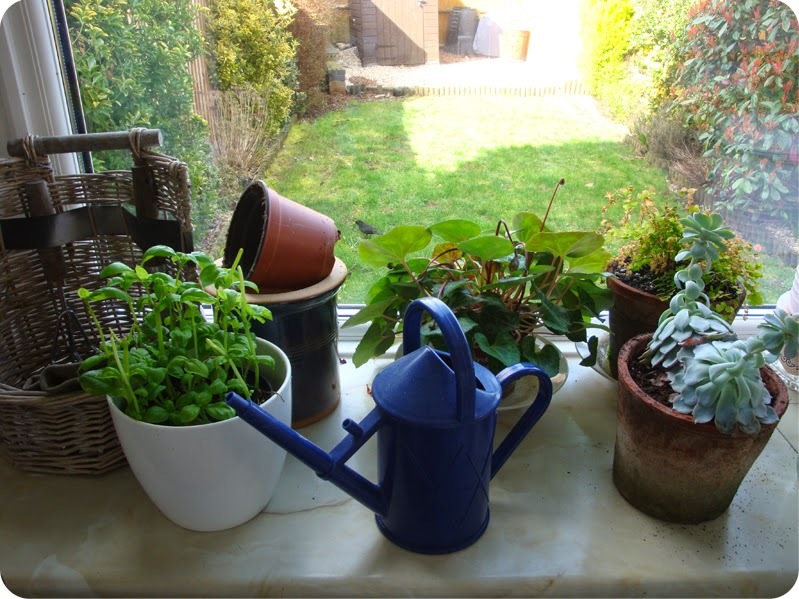 ♥ i've now got several plants in the house - i take them on one at a time, and when i can show that i've kept one alive for at least a month, then i can purchase another... this means i can learn about the needs of each particular plant, and add the watering to my weekly routine. cyclamen and basil have been my favourites so far, so much colour and scent - perfect houseplants! ♥ i picked this up from Tesco the other day - i've read about this ingredient in my Ottolenghi cookbooks, but i've never actually seen it to buy. 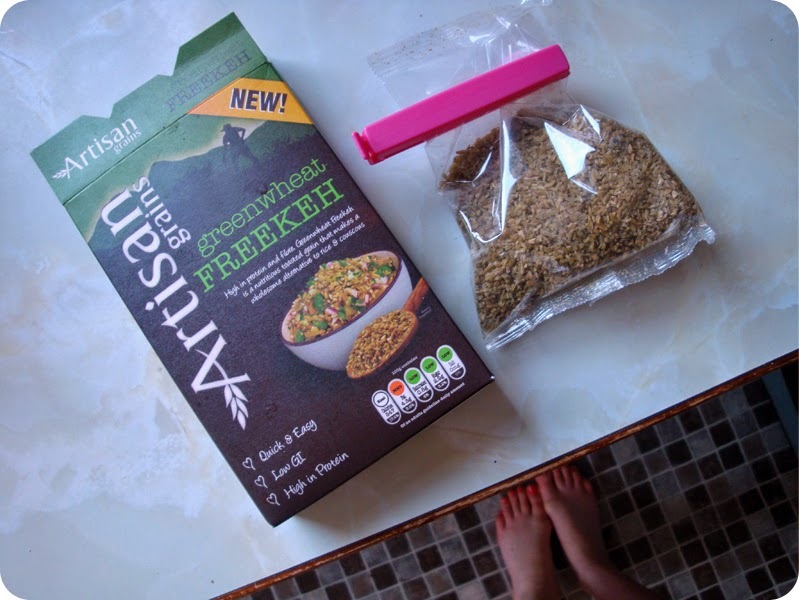 freekeh has an amazing nutritional profile (more protein than quinoa! 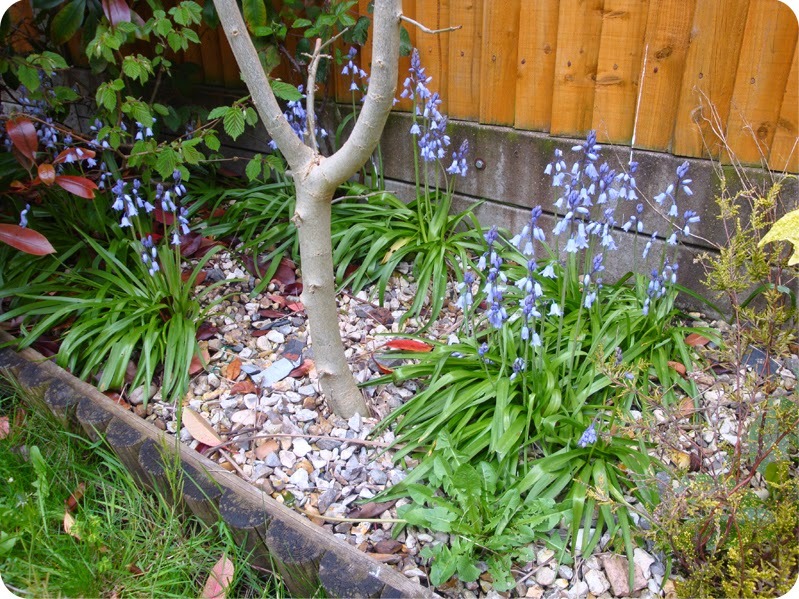 ), and is really easy to prepare. 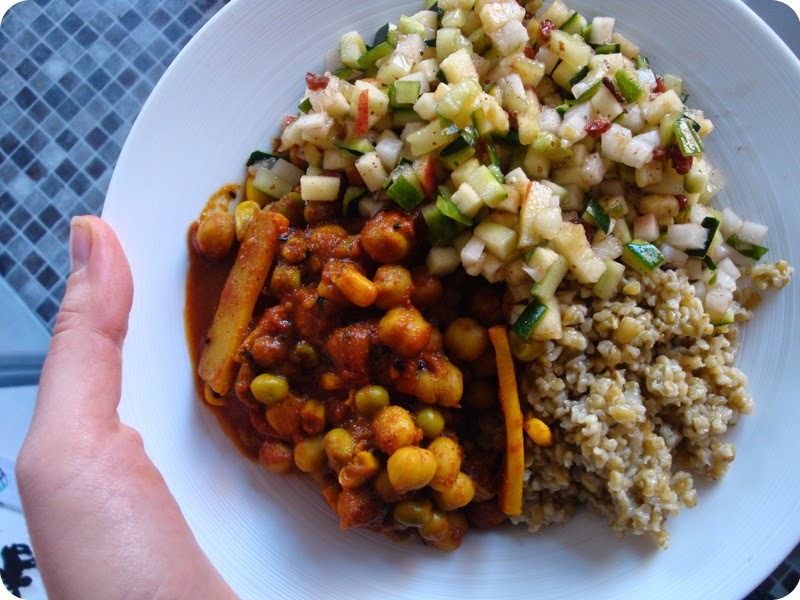 ♥ cooked freekeh, with chickpea and veg curry, and a side of apple, radish, cucumber diced salad - an amazing lunch! currently listening to: empire by shakira - amazing song, a new favourite. alissa, my name is jenna, i'm a vegan too, and i do a lot of erm... moving around physically for my career. i think this is a cool awesome blog. i was just thinkin on what i would say to someone about what is needed, to keep the whole family and your other half and all interested in the vegan shebayang and... i would say it would be interesting if you could show us like, vegan centre pieces to your meals. i think over on twitter you pinned a thing called a veggie wellington which sounded very british but also kinda fabulous? 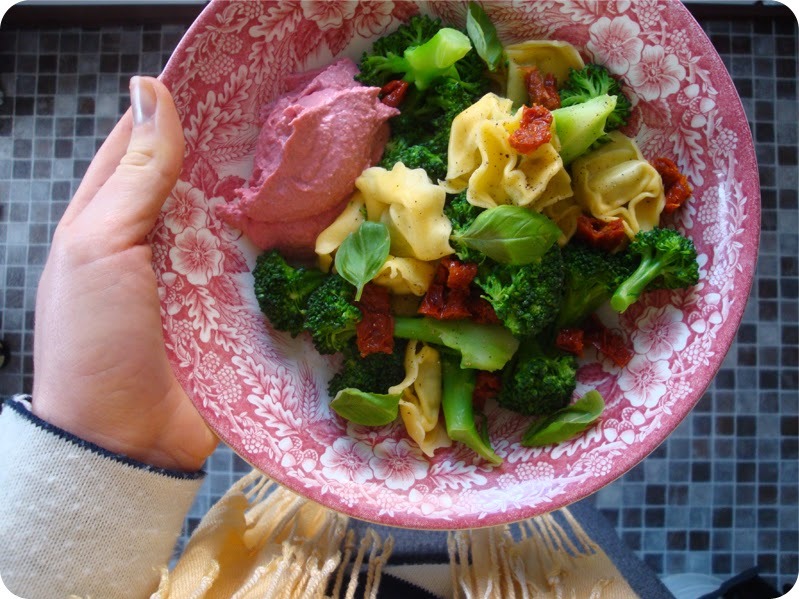 well... this whole blog would be super interesting to me as a vegan reader, and my family, if you could come up with really great key elements in your meals here and there? cos the truth is... i get tired of salads with lentils on them.